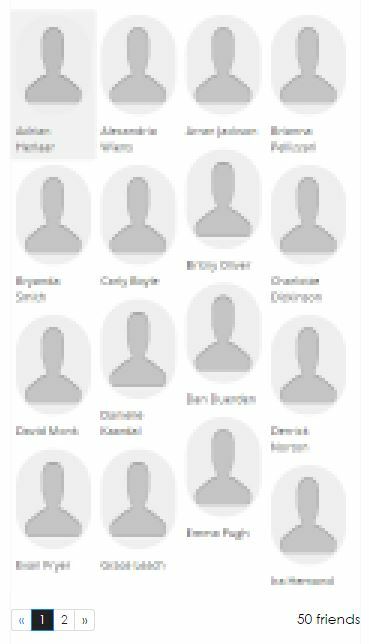 In 15.10.1 all avatars that are portrait shaped are overlapping with the names of the avatar above and below them. I checked in all the themes and this occurs. This does not happen when you are in edit mode though. It would be great to have the option that the avatar is forced to be square like in Moodle. UPDATE: It seems each div goes from "position: absolute" in edit mode to "position: relative" in view mode. This problem is also happening in the image gallery block. All the thumbnails are overlapping on each other. I wasn't able to replicate the bug. See attachment for what I could see. Can you please regenerate the CSS and have another look? Does your instance have any customizations? Nothing custom and displays correctly in Firefox but the overlap occurs in Chrome. "Failed to get text for stylesheet 11748.147: No style sheet with given id found"
This only appears when the avatars overlap. Not sure where this is coming from. By the way, I upgraded the Masonary JS to v4 and the problem persists. Patric, which operating system do you use? 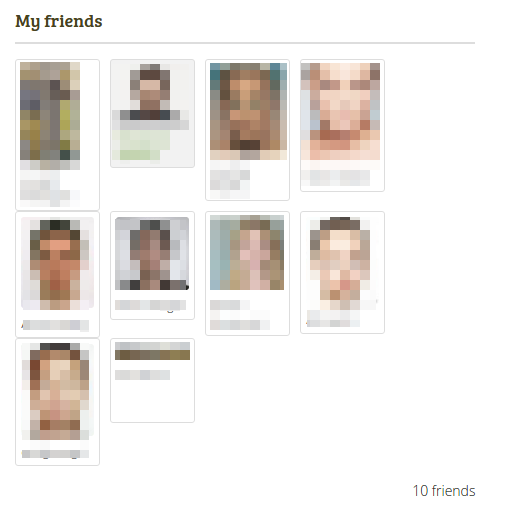 I added some friends to my block and even without a picture, the avatars are overlapping and don't show the name of the person unless the are in the last row or no further avatar is below them. This was on Ubuntu 14.04 and Firefox 46. That screenshot above was when I viewed my own profile page. 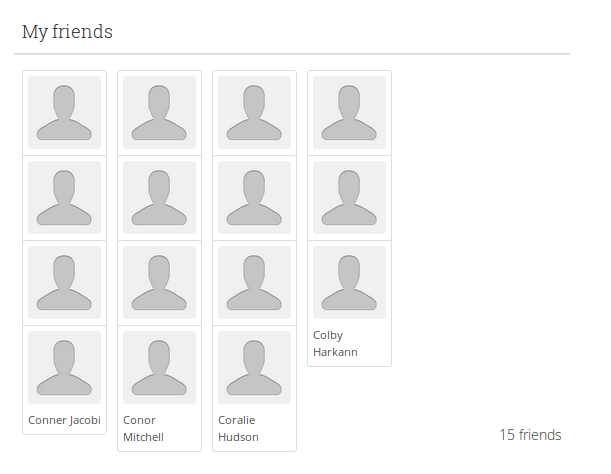 When I viewed my profile page as a different user once, I saw the block correctly, but couldn't replicate this a second time and it was back to showing only the last row of friends with their names. There is also an overlap in the pagination, which is dealt with in bug #1581183. I have confirmed this problem on Windows 7 and 10 in the latest versions of Firefox and Chrome. Just tried it in IE11 and the layout of the avatars was much worst. Not just overlapping but rows were broken. Doing a page refresh got rid of some of the broken rows but overlapping was still an issue. 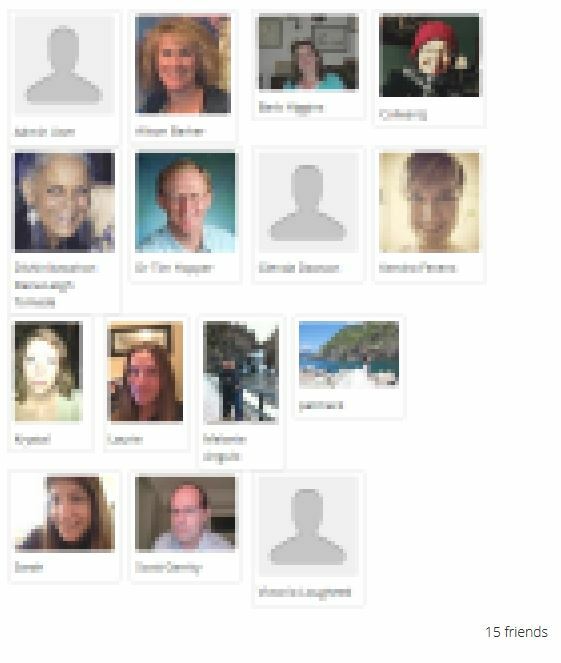 Patric, can you please give the patch https://reviews.mahara.org/#/c/6472/ a go and see if it resolves the problem for you with the overlapping avatars? Already did and looking good so far. Avatars now position themselves where space allows. Tested in Chrome and Firefox. Extreme layout issues in IE have gone as well.